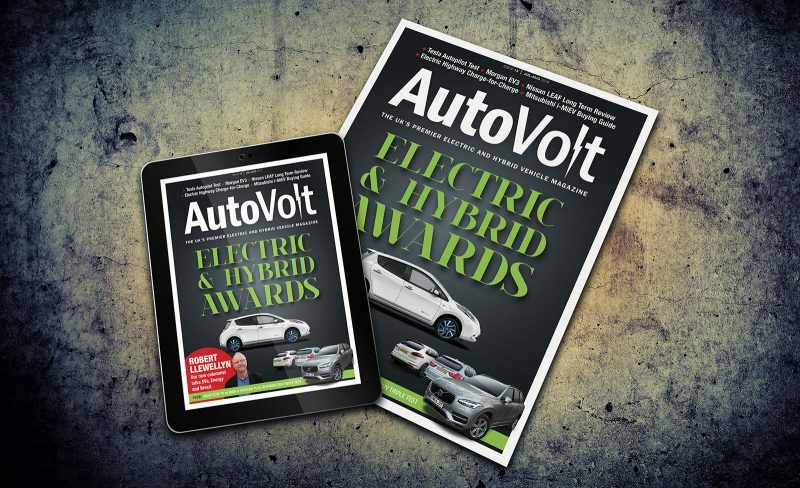 The new issue of AutoVolt is now available. 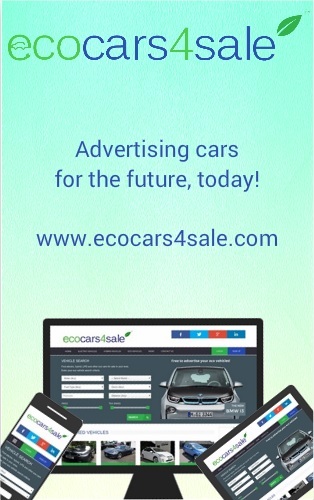 Contents include our prestigious annual Electric and Hybrid Vehicle Awards 2016, a new column by Robert Llewellyn ( of Formula E, Fully Charged show, Scrap Heap Challenge and Kryten from Red Dwarf fame), a triple plug-in hybrid SUV test of the Volvo XC90 T8 versus BMW X5 xDrive40e and Porsche Cayenne S E-Hybrid. Plus there’s an article about the Morgan EV3 by Lem Bingley (Green Motor), a look at Tesla’s Autopilot autonomous driving system and an insightful story on the introduction of a fee for Ecotricity’s Electric Highway. COLUMN: Robert Llewellyn We welcome our new columnist, Robert Llewellyn, who talks about Brexit, energy and electric cars. INSIGHT: Charge For Charge Big news for EV drivers, Ecotricity has introduced a charge-for-charge fee to use the Electric Highway. We take a look at why it has been introduced, the electric vehicle community reaction and how to avoid it. DRIVEN: Tesla and the Autopilot Behind the wheel of a Tesla Model S 90D to try our Autopilot, the firm’s autonomous driving technology. 2016 AUTOVOLT EV & HYBRID AWARDS Our annual awards are the best place to find out what’s hot this year from the electrified automotive world. This year has a few changes from last year. FEATURE: SUV Triple Test A plug-in hybrid triple treat. We pit the Volvo XC90 T8 against the BMW X5 xDrive40e and Porsche Cayenne S E-Hybrid. Find out which one comes out on top in our plugged-in SUV test. FEATURE: Morgan EV3 A closer look at Morgan’s electric three-wheeler by Lem Bingley with some exclusive new information. LONG TERM: Nissan Leaf 30kWh We’ve been living with a Leaf, find out how we’re getting on with this latest update. TECHNOLOGY: Formula E Battery A brief interview with Paul McNamara, Technical Director at Williams Advanced Engineering, about the Formula E battery, its past, present and future. BUYING GUIDE: Mitsubishi i-MiEV Our buying guide on the small EV that doesn’t cost the earth and provides a great introduction to electric motoring.